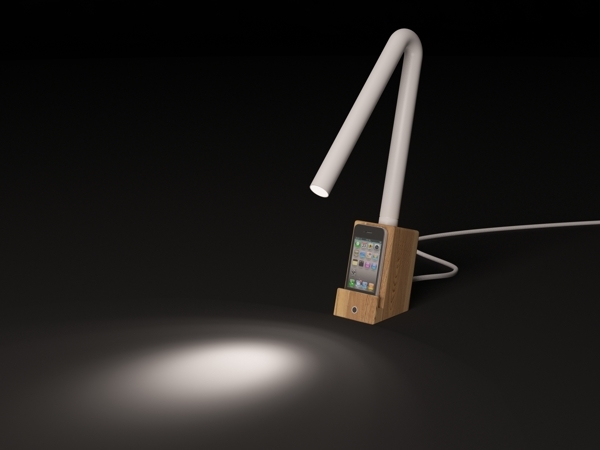 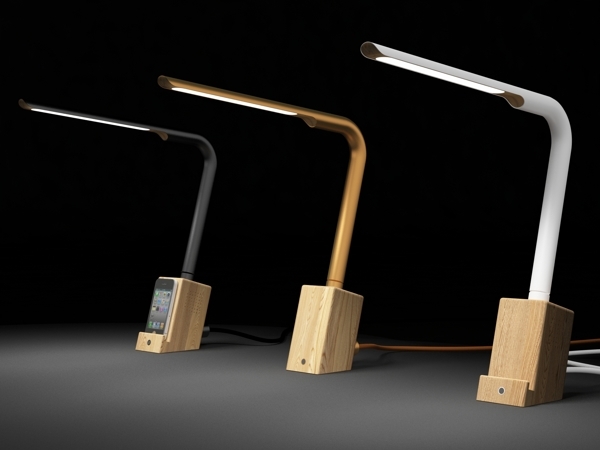 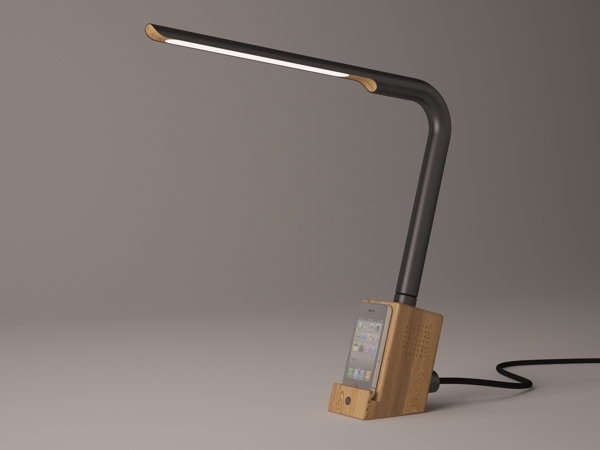 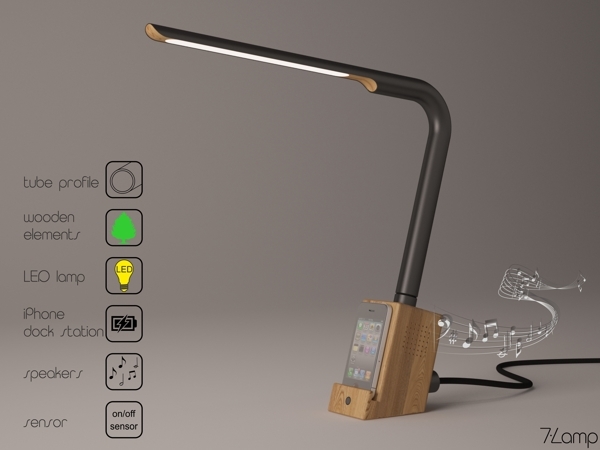 Designer Volodymyr Karalyus about project: ” Lamp consist of two elements: tube with illumination and wooden basis. 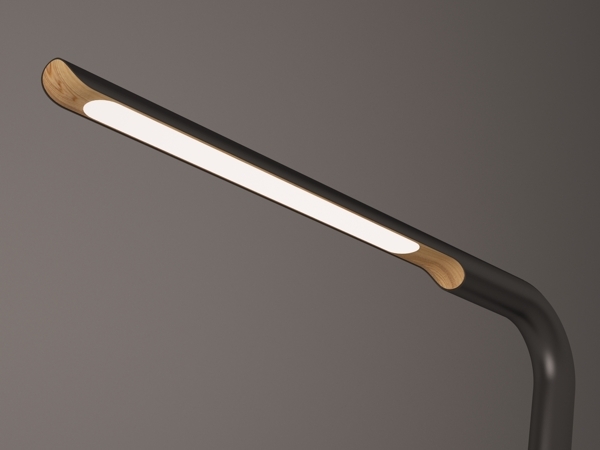 Tube is made from polished copper or painted in colour. 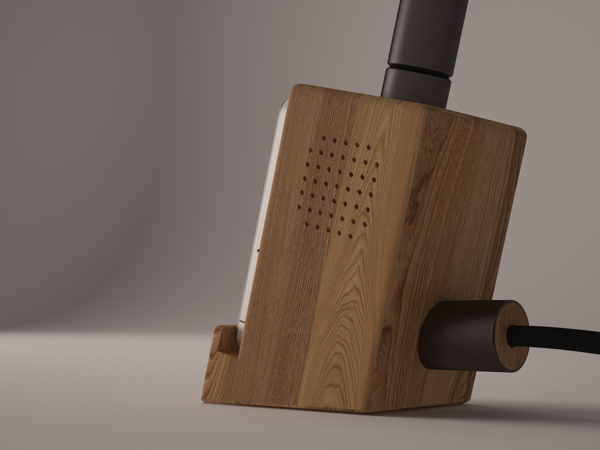 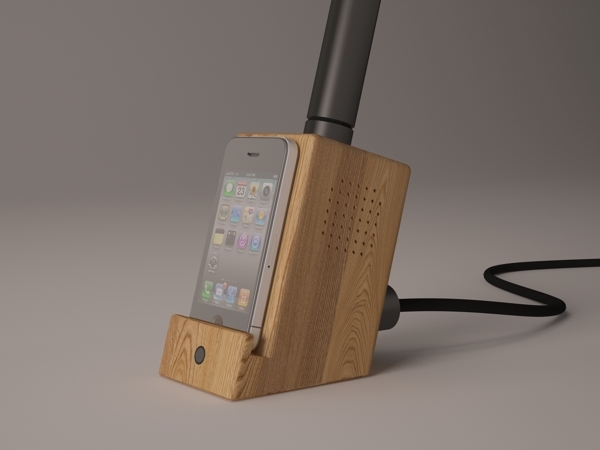 Wooden basis could be combined with iPhone dock station and integrated speakers or without them both.